Thailand has many memorable events throughout the year but none is more magical or memorable than the annual Loy Krathong Festival, held on the night of the glittering full moon in early or mid-November. On this wonderful evening people throughout Thailand gather to float krathongs, small banana tree leaf boats containing beautiful flowers, garlands and a lighted candle, on the many rivers, lakes and streams in the kingdom to pay respects to the water spirits and to make a secret wish. In Bangkok the majestic Chao Phraya River is home to one of the most popular Loy Krathong celebrations, and the sight of many gently illuminated krathongs bobbing on the water is a sight to behold. With its incomparable location Chatrium Hotel Riverside Bangkok is the perfect spot from which to experience the magic of Loy Krathong on the Chao Phraya River and on the night of Friday 3rd November the hotel has arranged what has to be the best celebration of Loy Krathong in Bangkok at the River Barge Restaurant and al fresco Pier 28. For this one night of the year the chefs at Chatrium Hotel Riverside Bangkok have created a delicious and diverse Loy Krathong Buffet featuring signature specialties from the 4 corners of Thailand as well as unique Loy Krathong dancing shows and traditional live Loy Krathong music, for a Loy Krathong by the Chao Phraya River which will live in the memory forever. Guests will also receive their very own complimentary krathong to float on the Chao Phraya River to complete their perfect Loy Krathong in Bangkok courtesy of Chatrium Hotel Riverside Bangkok, when the Chatrium group’s motto of “Live the Remarkable” promises the best Loy Krathong ever. 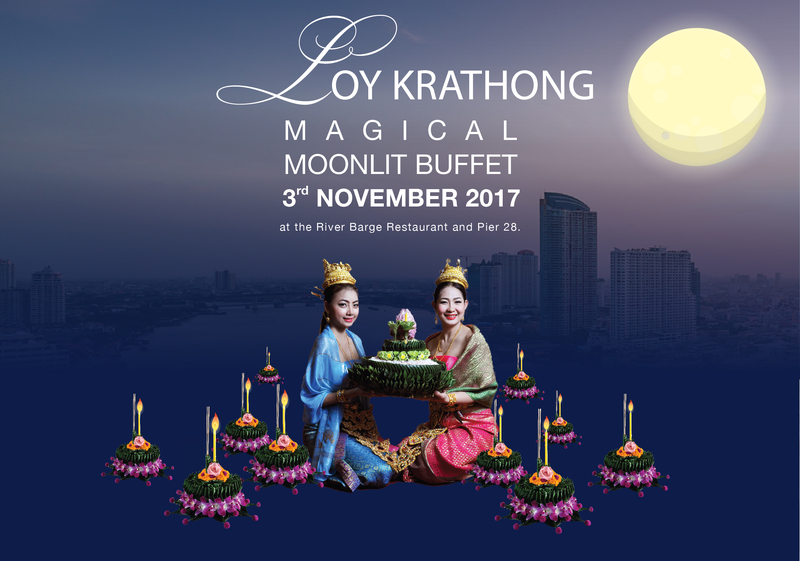 Loy Krathong by the Chao Phraya River is priced at THB 1,990 net for adults and THB 990 net for children including a complimentary krathong.